Its been a while since i have been on here but we are gearing up for a great season and i look forward to visiting this forum and silently learning! I have a 42 foot gibson lazy cruz with a volvo penta outdrive. I have noticed that the outdrive has begun to flip up in reverse. I know the marina will have to pull the boat out of the water etc. my question is, does it hurt to use it like is? I had the boat out late last summer and everything went fine. When docking, it was probably the smoothest docking i had ever done. After seeing video and pictures from the outing, i noticed the foot was flipping up anytime i would reverse. 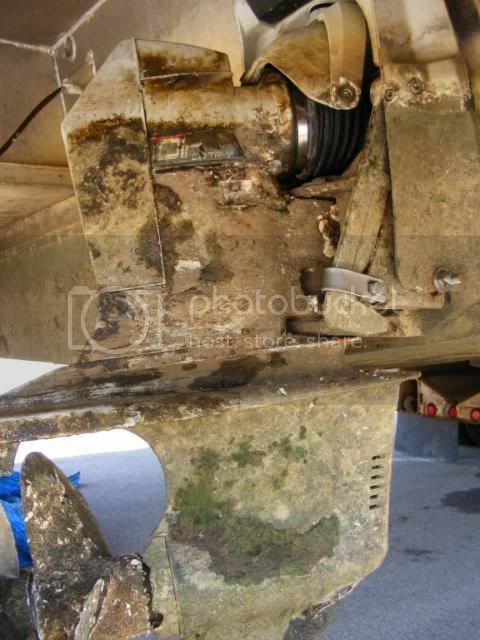 Wife and i are planning a weekend away from dock for anniversary this weekend and want opinions from you pros on any damage it may cause to use the boat as is. I've heard that older VP setups are infamous for this issue. Not sure if it'll harm anything, but it can't be good either. My neighbor is waiting to pull his HB out for this very same issue. 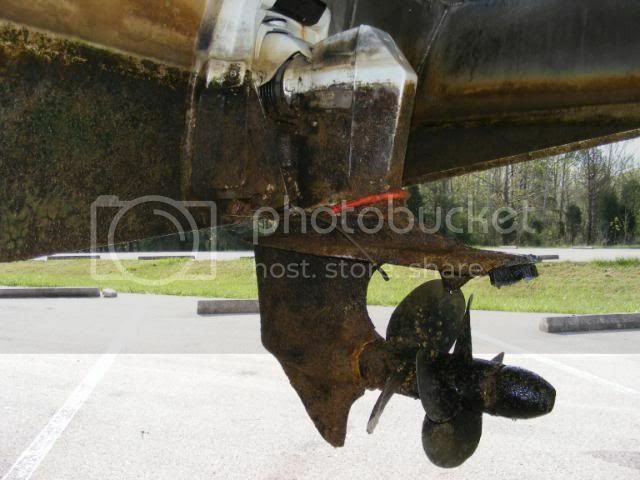 The boat had this issue when he bought it late last season and he's planning on fixing it soon. To transport it, he actually chained the outdrives down so they wouldn't flip up when put into reverse. He said it's a b!tch to maneuver with this issue. Last edited by GoVols; 05-27-2014 at 07:19 AM. This is somewhat common on older VP outdrives. I had this problem on a previous boat. 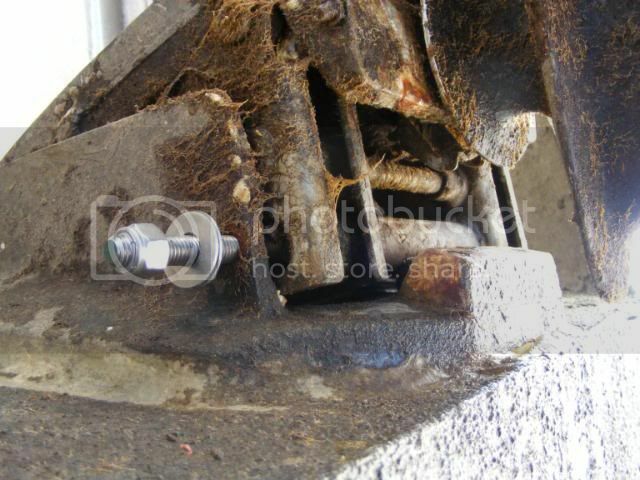 Look up volvo penta reverse pawl for info and pics. The pawl rises up and hooks on a rod to stop reverse kick up. I got in the water and used a zip tie to hold the pawl up in contact with the rod. This work fine for many seasons. I have seen where some have bolted or chained down the drives. With the zip tie if I needed to raise the drive the trim motor would break the zip tie and the drive would rise. I would then just replace the zip tie. Work for me. As boatlover said, it is a common problem. It is not good for it to kick up that hard. I have never seen his solution, but it sounds good. I have seen a lot of them chained down. Our HB had a chain wrapped around one of the outdrives when my parents bought it. The paw was completely missing on the chained outdrive while the other worked sometimes(Dual DP's). We had the boat pulled and had the outdrives permanently locked down. Works wonderfully and handles much much better. When the outdrives kicking up your reverse is practically useless. Once the chain broke off we wrapped a steel cable around the OD with a rubber hose around the cable. Its very scary to think what would've happened if the chain would've gotten wrapped up in the props. Horrible idea to use a chain IMHO. The cable worked until we could get the boat out of the water. It did make the steering tight since the OD rubbed on the hose, more so when in R.
Of course your tilt will never work again so you will need to unhook that. Not sure why you need it on a HB anyway? Its not like youre going to get on plane and need to bring the nose of the boat up :/. I have VP outdrives and had the same issue on my 58' Lakeview. I had the trim rams taken off and instead of thousands to replace them, they took them apart and slid in a piece of aluminum pipe so the ram can't move. They are now locked in place and I unhooked the power to the pumps so even if you hit the button, nothing happens.